Here are two stories that showcase the amazing things you can do with WiFi. If you don’t know by now, Team SocialSign.in really loves WiFi. We think about it all the time. This has been one of those weeks where WiFi has seriously impressed us…and we aren’t just talking about the results we help our customers see. We’re talking about the stories and articles we’ve seen about how other people are innovating WiFi around the United States. Here are two in particular that showcase the amazing things you can do with WiFi. This was tweeted to us by one of our followers and featured on www.animalnewyork.com today. The video, which you should definitely watch below, is directed by Chris Shimojima and produced by Anita Anthonj. Here’s a description of what you’re about to watch from the director himself. We stationed them at 9 different subway stops with wifi and had them simultaneously connect to composer Ljova. He led them in a performance of “Signal Strength,” an original piece he wrote for them. Connecting people with WiFi is a focal point of our business and what we believe in, so this particular application of that idea is just really cool to see and something we wouldn’t have expected. A new story this week in PC World details a new project being beta-tested by Boingo in the Austin-Bergstrom International Airport. WiFi in airports is nothing new, in fact we wrote about airport WiFi availability earlier this year, but what Boingo has in the works is really applying the technology in a new and exciting way. While it’s still in early trials and could eventually roll out to every airport, Boingo WiFi and Cisco Systems have discovered a way of answering one of life’s must infuriating questions. 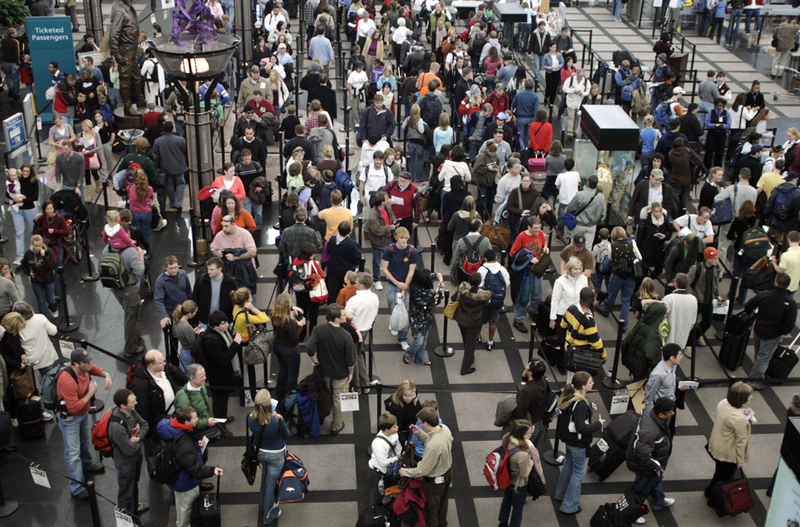 How long will I have to wait in line at security? Using WiFi, Beacons and Bluetooth, Boingo CTO Derek Peterson and his team have been able to answer that question with 99% accuracy. A screen outside each security checkpoint displays the forecast, and as more travelers going through security have Bluetooth and WiFi turned on their phone, it only becomes more effective. Read the full story and learn the specific about how it works here. If you see an interesting story about WiFi we would love if you shared it with us. We really can’t get enough of it. Are the most popular free apps that we use every day actually free?